A personalized message on your gold seal where you can enter a short 50 character inscription for the seal, such as "Happy Birthday John" or whatever you would like to include. 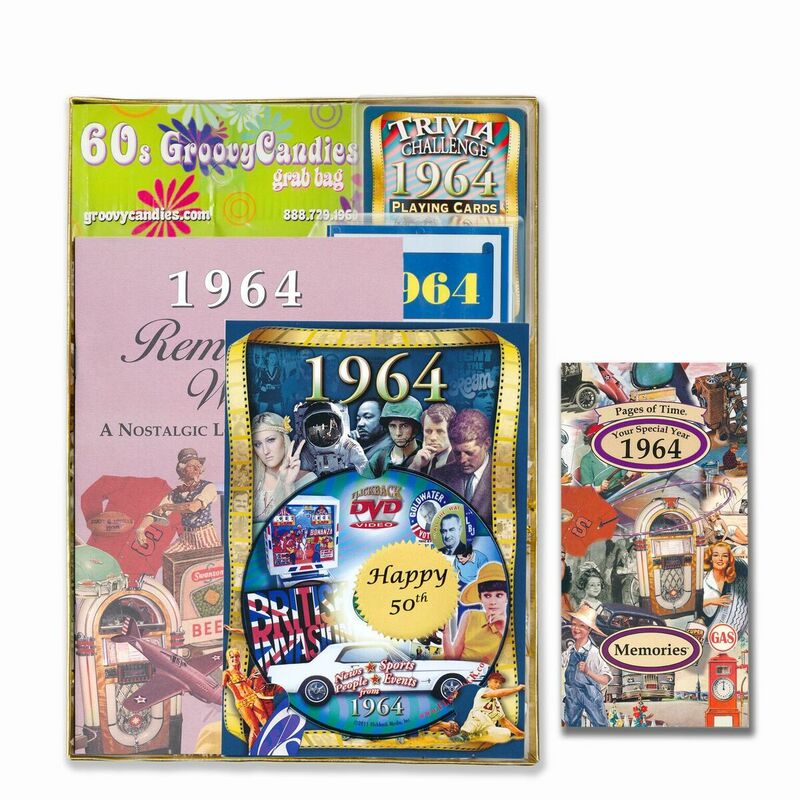 A event and trivia DVD of things that happened in your special year. Thirty minutes of narrated trivia clips. A booklet from the year they were born that is color, about 24 pages and has more facts, nostalgia, and advertisements for them top enjoy. 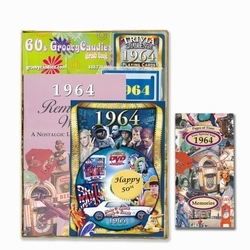 52 card deck of trivia playing cards that you can use to play card games or just answer the year trivia questions on it. A colored trifold out year greeting card and a place where you can write a special note to the person. A sample size bag of nostalgic candies from your decade. Need to browse more? See our other year milestone birthday ideas.